I’ve seen many posts lately using this technique from my baking friend DA as well as many others. I decided to base the technique for these rolls on the Hokkaido Milk Bread posted by Floyd but of course I changed most of the ingredients so it didn’t really end up as fluffy and shreddable as the beautiful loaf he made. 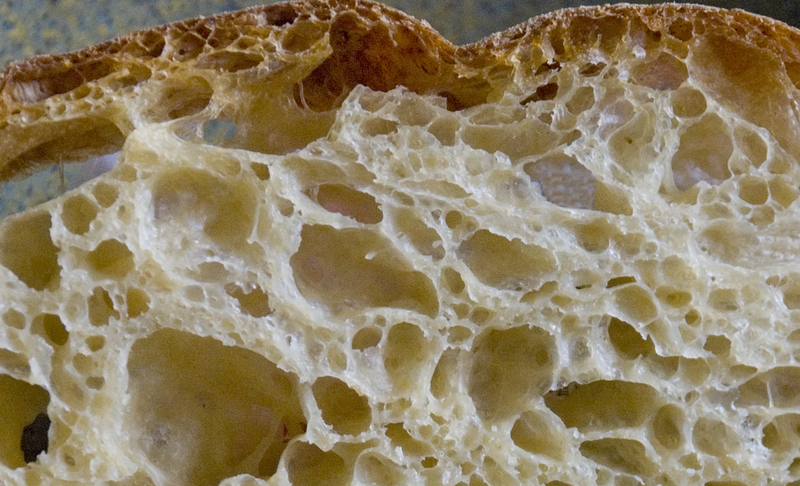 I really like the effect this has on the crumb and will definitely try this again. I wanted to make some rolls to use for some chicken burgers I was making on the grill tonight and since I love onions and potatoes I figured why not incorporate that into the mix as well. I used my refreshed AP starter, some milk, sautéed onions, mashed potatoes, assorted whole grain flours and the potato water with some Durum and European style flour for the Tangzhong. 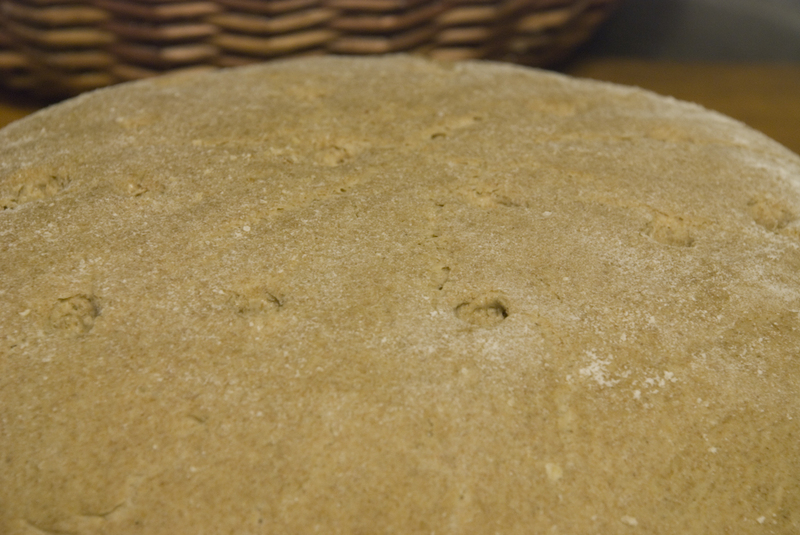 The final result was a nice soft crumb, crisp crust and tasty roll. 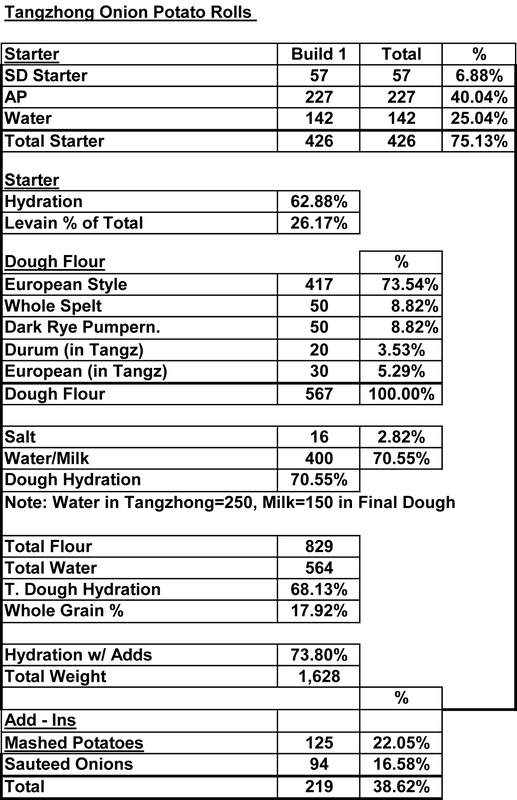 Note: Tangzhong consisted of 30 grams European Style Flour, 20 grams Durum Flour and 250 grams Potato Water. I included this in the overall formula below. Cut up the onion into rings and sauté on low heat until nice and canalized using some olive oil or butter in your pan. Let the onions cool completely and chop into smaller pieces before using in the dough. Mix the flours, Tangzhong and milk together in your mixer or by hand until it just starts to come together, maybe about 1 minute. Let it rest in your work bowl covered for 20-30 minutes. Next add the salt, starter (cut into about 7-8 pieces), and olive oil and mix on low for a minute. Mix for a total of 13 minutes in your mixer starting on low-speed and working your way up to speed #3 for the last 5 minutes. 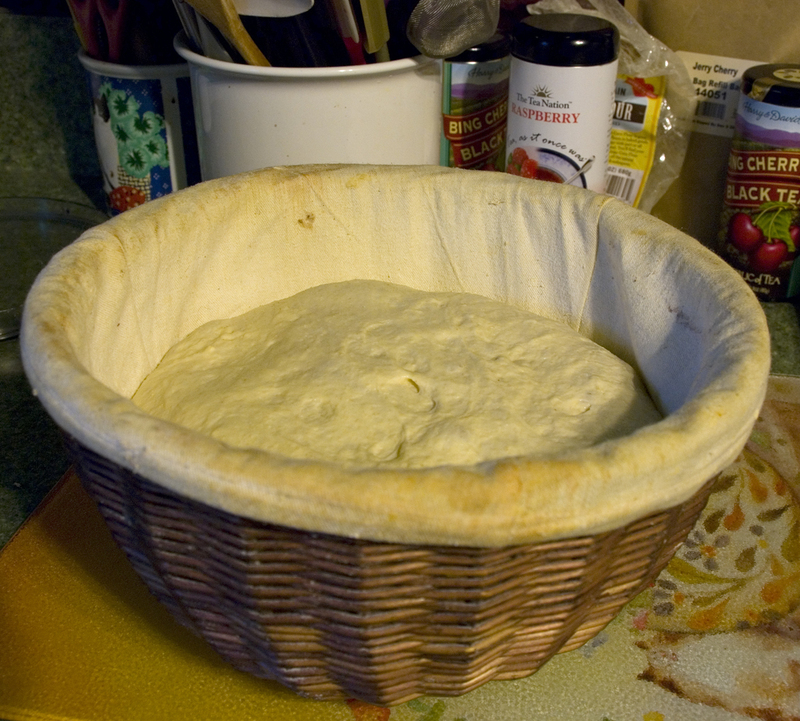 Remove the dough from your bowl and place it in a lightly oiled bowl or work surface and do several stretch and folds. 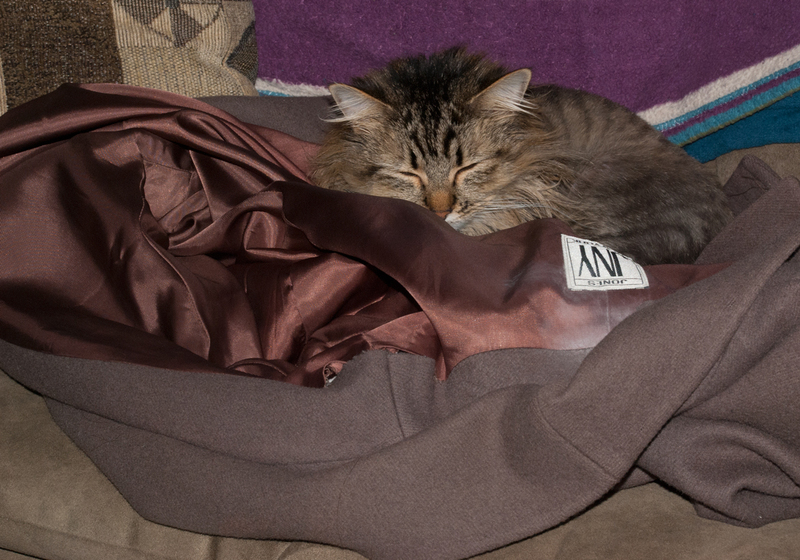 Let it rest covered for 10-15 minutes and then do another stretch and fold. Let it rest another 10-15 minutes and do one additional stretch and fold. After a total of 2 hours place your covered bowl in the refrigerator and let it rest for 12 to 24 hours. 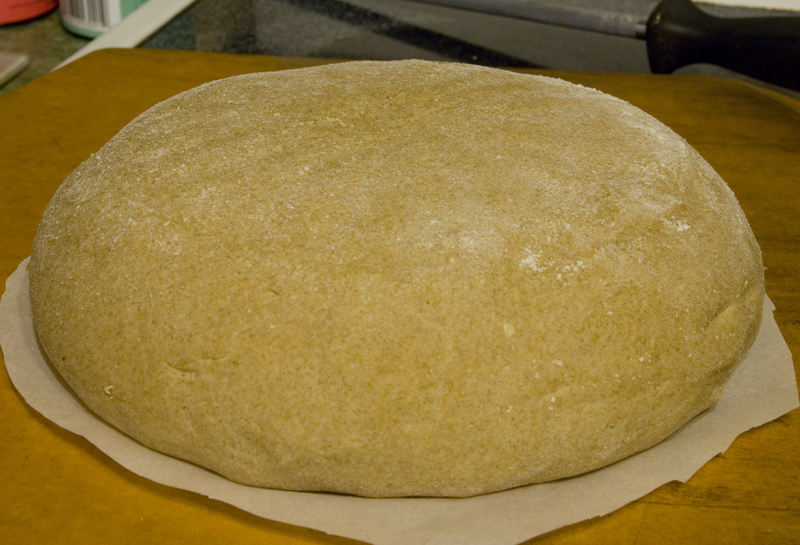 The dough will take 1.5 to 2 hours depending on your room temperature. 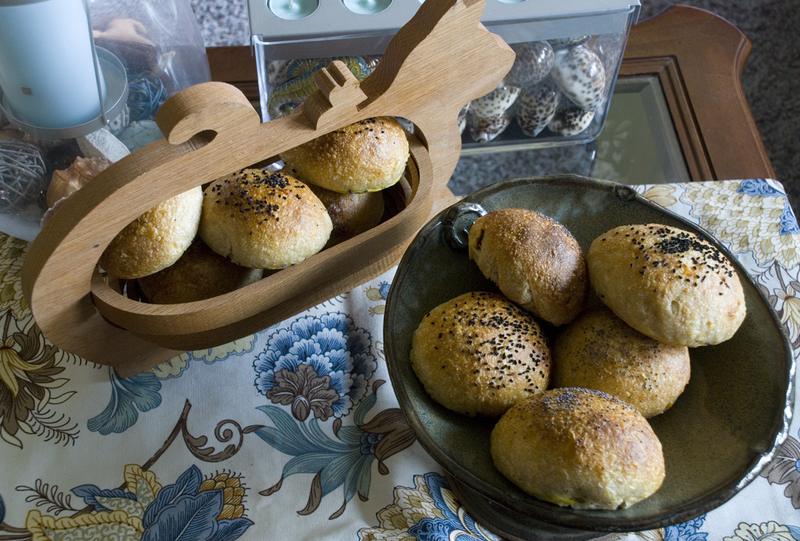 Let the dough dictate when it is read to bake not the clock. Right before you are ready to put them in the oven, using a simple egg wash brush each roll and sprinkle on your topping of choice. Next add 1 cup of boiling water to your steam pan or follow your own steam procedure. After 1 minute lower the temperature to 425 degrees. Bake for 35 minutes until the crust is nice and brown. While traveling for business the last two weeks in China, as usual I read my favorite website, www.thefreshloaf.com and couldn’t wait to get home to try some new recipes. One of the recipes I loved was Varda’s Pugliese Revisited. The crumb photo of her bread looked like cotton candy that melted in your mouth. I wanted to try to duplicate the same results that Varda achieved and I followed her recipe pretty close, only replacing the AP flour with KAF French style flour and some of the Durum with Kamut flour. I decided to also double the recipe and made one large loaf. I think I was suffering from the jet lag when making this and almost left out about 70 grams of water. After mixing the dough I realized something was wrong when it seemed too dry for what’s such a high hydration dough. Fortunately I was able to add the remaining water before it was too late and the final bread came out as good as I could have hoped. 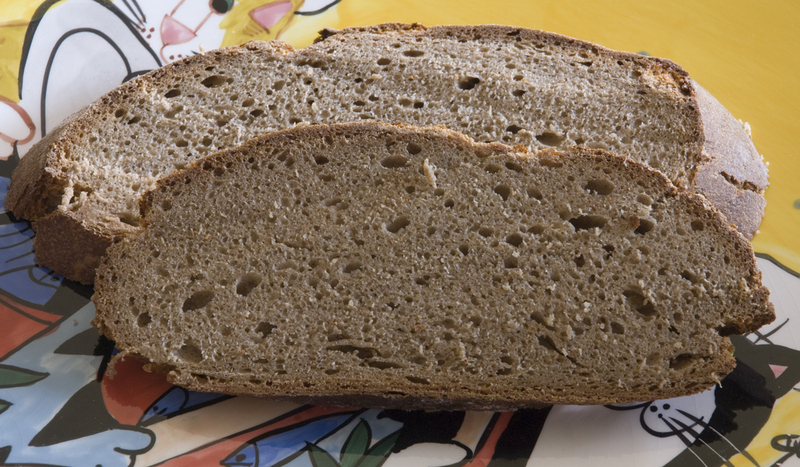 The bread is light as a feather and has a great nutty flavor with a nice crisp crust. Even though this dough is so wet it was not hard to work with at all and I highly recommend you give it a try. Mix all the levain ingredients together for about 1 minute and cover with plastic wrap. Let it sit at room temperature for 3.5 hours or until the starter has doubled. You don’t want the levain to develop too much sour so you want to use this in the recipe right away. Mix the levain with the water and add the flours, yeast and salt and mix in your mixer for 6 minutes increasing the speed from 1 through speed 4. 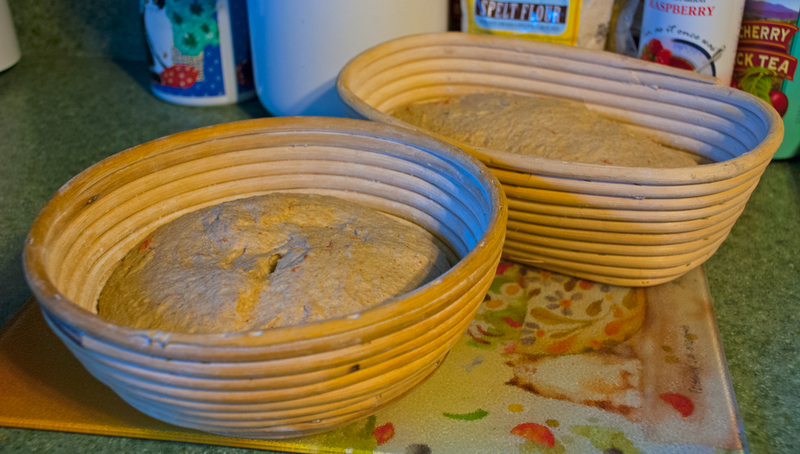 The dough should clean the bowl but will be wet and sticky. Place the dough in a well oiled covered bowl and do stretch and folds every 1/2 hour three times while letting the dough bulk ferment for a total of 2.45 hours. I used my proofer set at 80 degrees but room temperature should be fine. Next shape into a boule on your work surface. The dough should feel like a “squishy balloon” (Varda’s words :0). 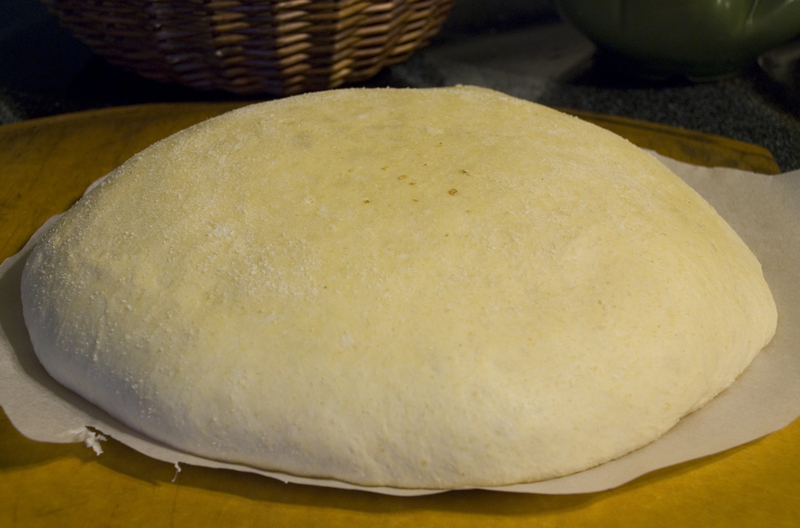 Proof in a well floured basket or bowl and cover with a moist towel or plastic wrap and let it rest for 1 hour until it doubles. In the mean time pre-heat your oven to 500 degrees F. and prepare it for steam. I have a heavy-duty baking pan on the bottom rack of my oven with 1 baking stone on above the pan and one on the top shelf. I pour 1 cup of boiling water in the pan right after I place the dough in the oven. 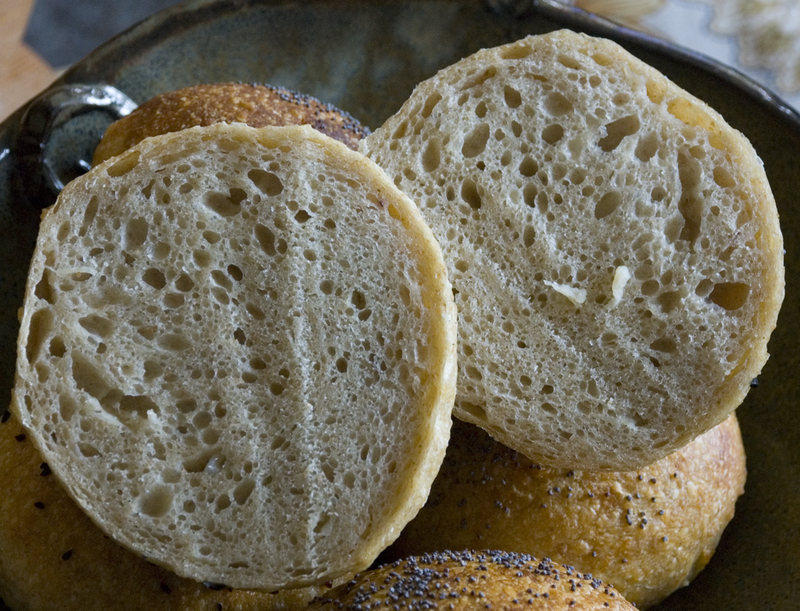 This bread does not need to be scored so when ready to bake, place it on parchment paper on your peel and then add 1 cup of boiling water to your steam pan or follow your own steam procedure. After 1 minute lower the temperature to 450 degrees. 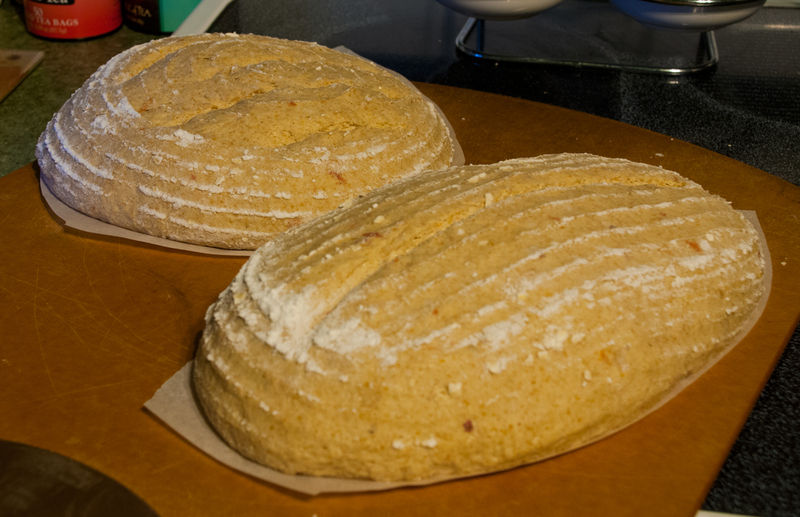 Bake for 35-50 minutes until the crust is nice and brown and the internal temperature of the bread is 205 degrees. 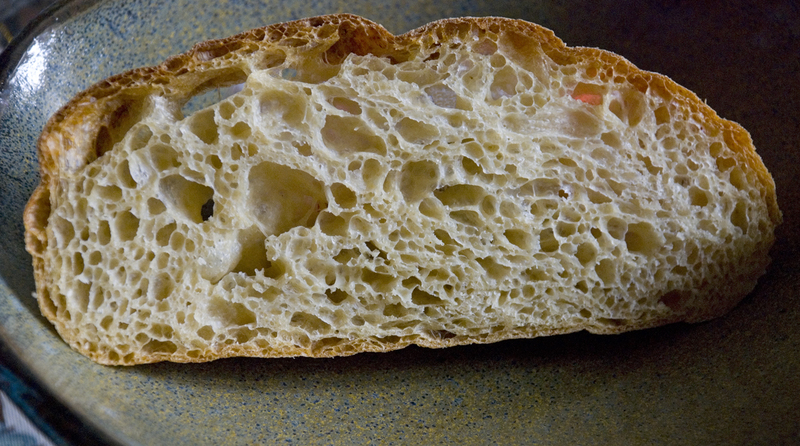 The crumb of this bread is like a pillow and is the lightest and most airy I have ever tasted. After returning from the first ever TFL gathering in Lexington MA last weekend I wanted to use some the rye starter that Varda gave me to make a rye bread. Dave Snyder posted his latest bake of the above bread on The Fresh Loaf this past week and pushed me over the edge to try it myself. You can find the recipe at his original post here. 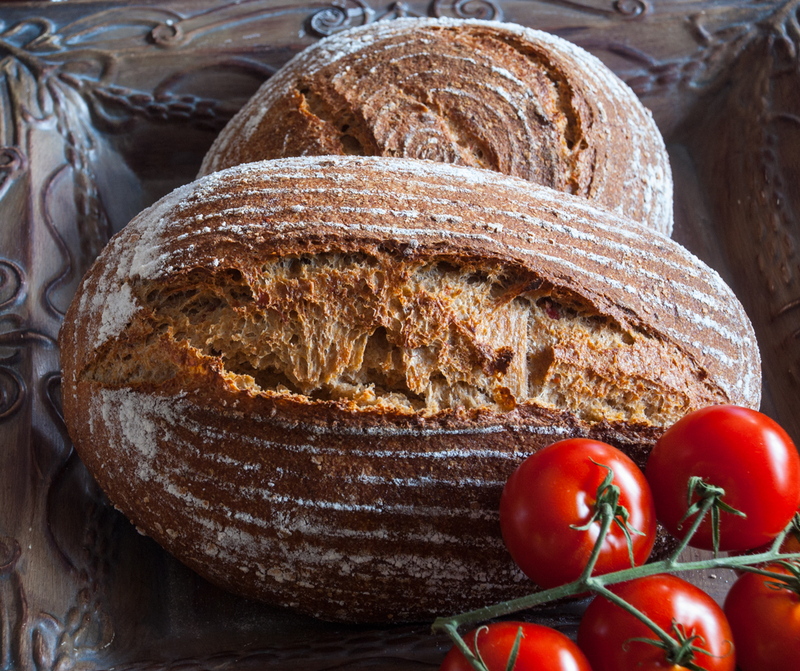 This recipe uses a three-step build process called the Detmolder process which by using precise temperatures for each build is supposed to optimize the development of yeast growth, lactic acid and acetic acid production. David had described his latest bake as having an almost sweet taste without that much sour flavor. 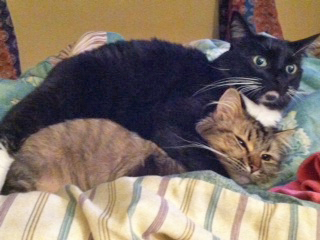 My bake to me seemed to have a much more sour flavor than intended. I think I might have rushed the second build a bit which could have effected the final outcome. 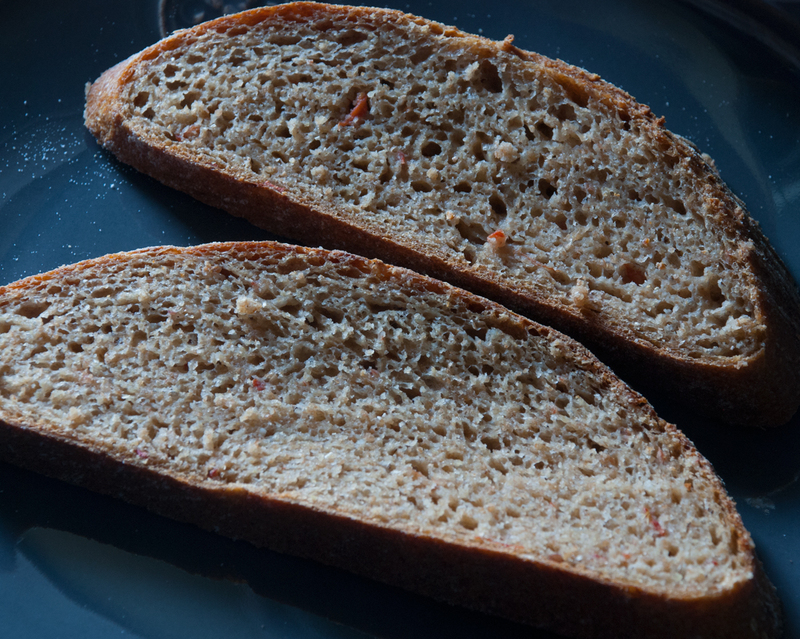 In any case, the crumb came out about where I think it should for such a high percentage rye bread. The crust ended up much more thick than I think it should. This type of dough is docked instead of scored and you only use steam for the first 5 minutes of the bake. 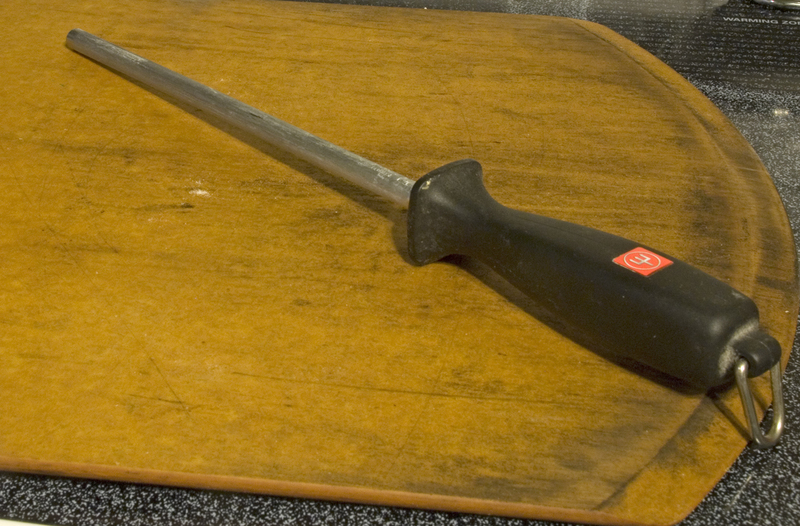 I used my knife tool to dock the dough. Worked fine. I will have to try this one again and see if I get the same result. After returning from a great weekend at the first ever The Fresh Loaf get together just outside of Boston I ended up with some left over starters that I had brought with me. I decided to use most of the corn flour/AP starter along with some AP starter to make my next bread. 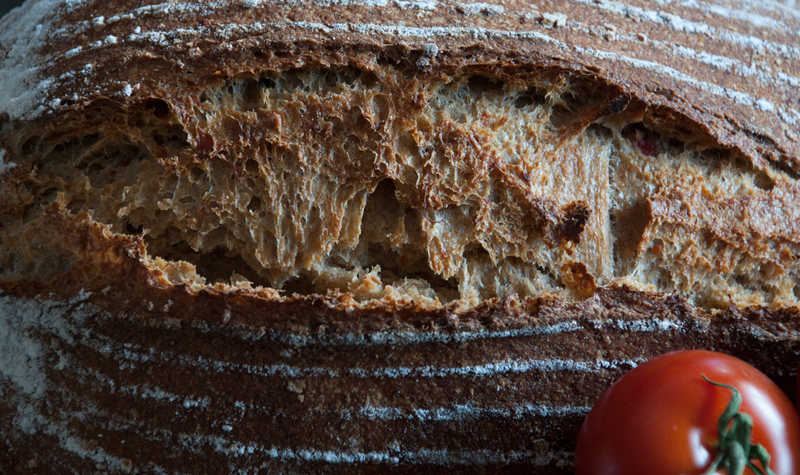 Now that Spring has arrived I wanted to get into the mood so I used some chopped tomatoes in this one along with some cilantro roasted onion olive oil, Kamut flour and Turkey Hard Red Wheat flour and some Spelt flour. I added some mashed potatoes to add some extra softness to the crumb. I followed my normal procedure below for making the bread and I must say I was very happy with the results. You can really taste the tomatoes and the specialty olive oil I added. 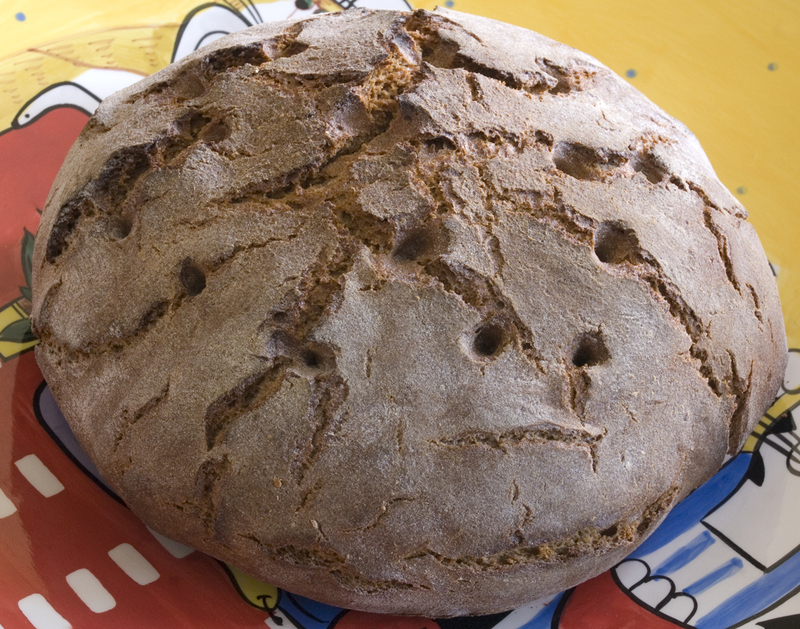 The nuttiness of the Kamut, Spelt and Turkey flour really combined to make a nice complex flavored bread. 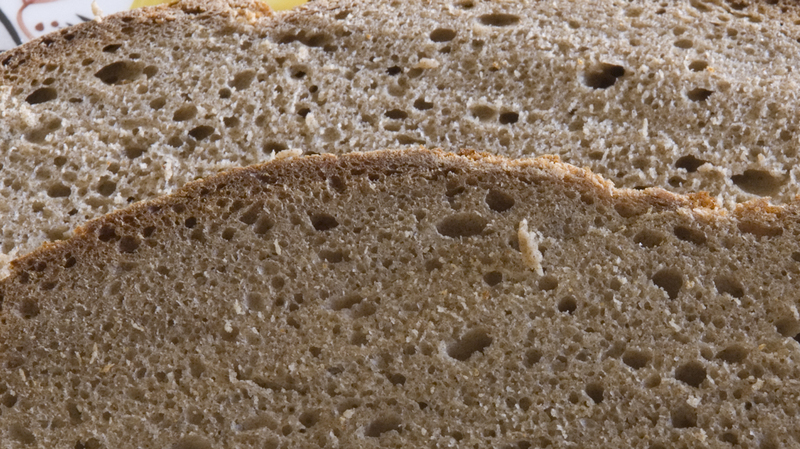 The crumb was nice and open for such a whole grain bread and the potatoes really did help make the crumb nice and moist. 90 grams Water at room temperature. Mix all the above ingredients together for about 1 minute and cover with plastic wrap. 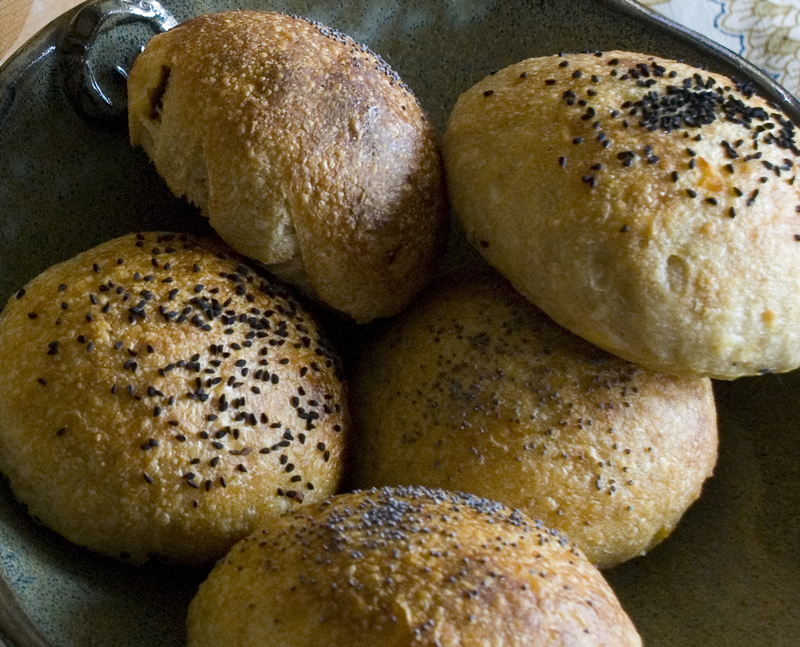 Let it sit at room temperature for around 4-8 hours or until the starter has doubled. I usually do this the night before. Mix all the ingredients into the starter from step 1 until they are incorporated. Cover with plastic wrap and let it sit for 4-6 hours or until doubled. You can then refrigerate for up to 1 day or use in the main dough immediately. 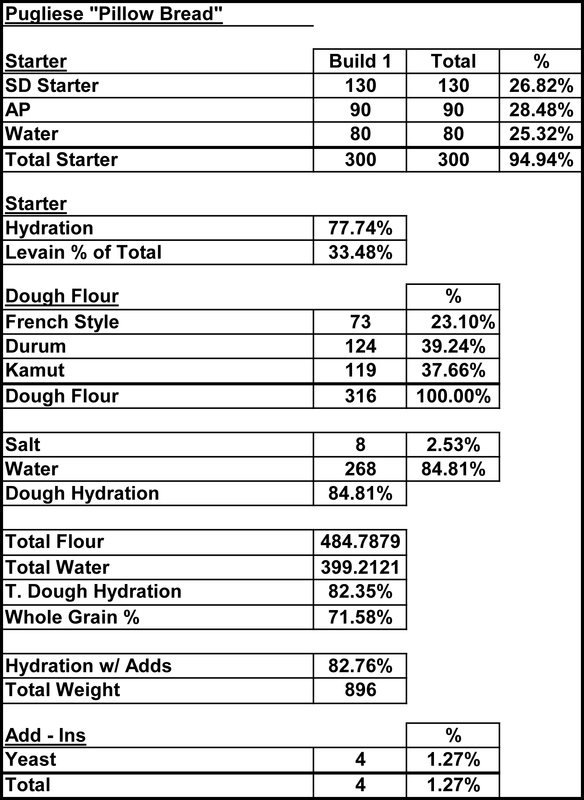 Note: You can either use all of this starter or per the recipe below use only 300 grams and combine with 125 grams of a AP starter at 65% hydration. Mix the flours, and 365 grams of the water together in your mixer or by hand until it just starts to come together, maybe about 1 minute. Let it rest in your work bowl covered for 20-30 minutes. Next add the salt, starter (cut into about 7-8 pieces), oil, and tomatoes and mix on low for a minute. Add the rest of the water unless the dough is way too wet. Mix on low-speed for another 3 minutes. 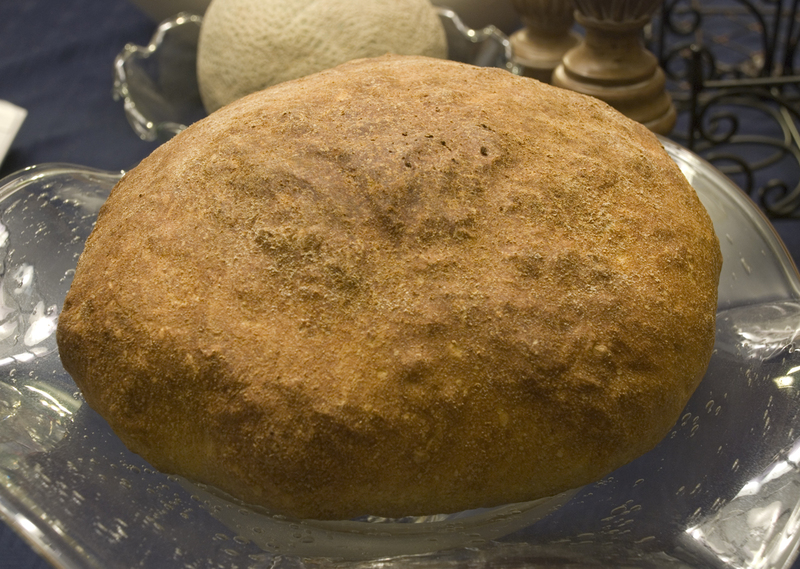 Remove the dough from your bowl and place it in a lightly oiled bowl or work surface and do several stretch and folds. Let it rest covered for 10-15 minutes and then do another stretch and fold. Let it rest another 10-15 minutes and do one additional stretch and fold. After a total of 2 hours place your covered bowl in the refrigerator and let it rest for 12 to 24 hours.